MapR Technologies, Inc., a San Jose, CA-based provider of a distribution platform for Apache™ Hadoop®, completed a $110m equity and debt financing. 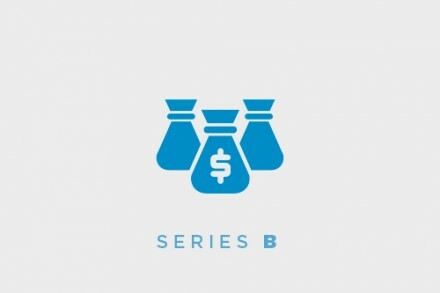 The $80m equity round was led by Google Capital with participation from Qualcomm Incorporated, through its venture investment group, Qualcomm Ventures, and existing investors Lightspeed Venture Partners, Mayfield Fund, New Enterprise Associates and Redpoint Ventures. In conjunction with the funding, Gene Frantz, general partner at Google Capital, will join MapR Board of Directors. In addition to the equity financing, MapR completed a debt facility of $30m led by Silicon Valley Bank. The company intends to use the funds to continue its growth in the big data and analytics segment, increase worldwide go-to-market programs to accelerate the deployment of MapR in mission-critical, real-time, and operational use cases. Led by John Schroeder, CEO and co-founder, MapR Technologies provides an enterprise-grade platform that supports a broad set of mission-critical and real-time production uses. to Hadoop, NoSQL, database and streaming applications in a unified distribution for Hadoop. It is used by more than 500 customers across financial services, government, healthcare, manufacturing, media, retail and telecommunications as well as by leading Global 2000 and Web 2.0 companies. Amazon, Cisco, Google and HP are part of the broad MapR partner ecosystem.